We arrive into Singapore at the end of the Month of the Hungry Ghosts. Flaming braziers sit on street corners and outside temples. Paper money from the Bank of Hell and small cardboard models of cars, smartphones, booze, cigarettes and all the trappings of the good life are set alight in the braziers as offerings to the dead ancestors. Zhong Yuan Jie is the period in the seventh month of the lunar calendar when the gates of the underworld are opened to allow the souls of the dead to roam the earth. Relatives burn offerings to appease their deceased family members, ensuring they don’t become ‘hungry ghosts’ up to mischief, jealous of the living and what they have. Even in its Taoist and Buddhist rituals, Singapore is commercial, taking care of material needs into the afterlife. We – performer Sara Beer, director Phillip Zarrilli and I – are here for the r&d of my collaboration between Wales and Singapore, ‘And Suddenly I Disappear… The Singapore ‘d’ Monologues’, an Unlimited International Commission and dialogue about disability, diversity and difference from opposite sides of the world. Singapore is a young nation, a high-functioning capitalist culture valuing commerce and uniformity, where, my producer Grace Khoo tells me, she was raised ‘not to ask questions, to keep my chin down and not to stand out.’ It is recently embracing notions of diversity and inclusion, but its awareness of disability issues and culture are very much in its infancy. How challenging atypical embodiment, disability politics, the aesthetics of access and what I call ‘alternative dramaturges nformed by a d/Deaf and disability perspective’ may be here, I’m about to find out. The UK has a long and proud history of disabled peoples’ activism, something Sara Beer and I have been engaged with for decades. Our background is punkish, proud and irreverent – ‘nothing about us without us’ is one of the Disabled Peoples Movement’s slogans – ‘Piss on Pity’ another, a badge I still wear. How this will fit with the ultra-conservative Singaporeans and a system that would not have tolerated our direct action of the 90s remains to be seen. A fascinating conversation is in the process of happening. We rehearse at Centre 42, a heritage house in downtown Singapore, greeted by my main collaborator, Peter Sau, and herbal teas from the local Chinese medical hall to help counter the excessive humidity. Peter is an award-winning actor and theatre maker, and a friend since my first visit to Singapore in 2004. He and producer Grace came to the UK in 2016 in order to explore disability arts and culture, with the aim to professionalise it in Singapore . Some of the ‘And Suddenly I Disappear…’ team, including Sara Beer and Ramesh Meyyappan, Lee Lee Lim, Danial Bawthan and Shai outside Centre 42, Singapore. Together we made an application to Unlimited, building on the model I developed from my 2008/09 Creative Wales award. Then, advised by Eve Ensler and Ping Chong, I explored the form of the monologue, interviewing d/Deaf and disabled people across the UK, using their perspectives, experiences, and opinions as inspiration to write fictional monologues. These were later produced as ‘In Water I’m Weightless’, the National Theatre Wales/Unlimited production, part of the 2012 Cultural Olympiad. 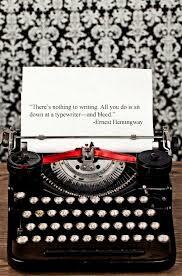 It’s important that I write the texts rather than ‘steal’ from the source material, for what are we but our stories? I prefer to invent. This also ensures that the material cannot be individualised, reduced down to one person’s unfortunate experience rather than a synthesis of the collective experience of prejudice we are all complicit in. In Singapore, Peter and his dedicated team of researchers, transcribers, and translators are partway through intensive interviews with disabled and d/Deaf Singaporeans. These are stories that have gone unremarked and unreported. Despite the new focus on inclusivity and diversity, ingrained beliefs linger, and in many ways difference and disability is shameful in Singapore, so several of our interviewees, although eager to contribute, request anonymity. The recordings and transcripts of the interviews are remarkable, Peter and his colleagues have eked out conversations of candour and passion. As I write the drafts I’m reminded of my own ‘coming out’ as a disabled person and personal revolution after meeting the social model of disability, which turned everything I previously knew upside down. I’d been reared on the Medical Model, where the body is at fault, requiring medicalisation and normalisation. The social model sees disability, like gender, as a social construct, and it is society and its physical and attitudinal barriers which are disabling, not the body itself. Value is given where previously there was none. It is no surprise then that many of the conversations ongoing in Singapore prompt tears and extraordinary openness from people so often denied respect. How daunting and exhilarating then is my task – to write fictional work responding to this stimulus, and begin work on embodying these voices. Ideas from the interviews are reversed or reinvented, Peter, Grace and Lee Lee Lim advise me on the use of Mandarin, Hokkien and Singlish vocabulary, which help make the rhythms and cadences of the dialogue more Singaporean. The collaboration is shaping into a dialogue, resulting in a series of vibrant, multimedia monologues inspired by lived experience, layering theatrical languages and utilising captioning, integrated audio description and visual language in the aesthetics of access, a first for Singapore. We realise there are seven spoken and signed languages in use in the rehearsal room, reflecting the multicultural diversity and linguistic complexity of Singapore. I feel we’re exploring how stories change in different cultures, languages and contexts…. How do we ‘speak’ to each other? I write a choral monologue to be explored in spoken, projected and visual language. Be like water. Be like a river. You dip a bowl into the river and the river fills it and becomes the bowl. Pour into a pot, it becomes the pot. Treat with fire and it becomes steam…. This is how you will be. Unstoppable. Fluid. Powerful. I didn’t know there would be just nine of us. Perhaps those considered literary monoliths in one part of the world loom less mightily when viewed from another geographic area. A writer who is relevant and admired in the US, UK, and Ireland, may have less resonance and relevance to South East Asia. Or so I reasoned when facing the eight empty chairs facing the white board, perplexed at the lack of clamour, crush, and cacophony. Usually I’m twenty rows back in a hedge of pads and pens, lucky to have a question answered, not being invited to engage in the conversation which constitutes the workshop. I’ve just discovered the pleasure and privilege of participating in a literary festival located outside Europe: Not only does it make you view the familiar and famous from different cultural and geographic standpoints, it enables you to discover a wealth of respected writers perhaps not even published in your own part of the globe. 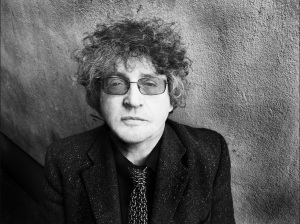 Poet friends in the UK became visibly tremulous when I said I was taking a three hour masterclass with TS Eliot and Pulitzer prize-winning poet Paul Muldoon at the Singapore Writer’s Festival. I promised faithfully to take notes and share all, expecting a massive marquee or Great Hall, with me squinting at a hazy figure in the far distance. I didn’t expect to be sharing a small seminar room with him and seven other participants, most of whom were unlike any workshop bunny I’ve encountered, before. My fellow participants were in IT, data analysis, social work, and journalism, making the discussion often surprising, and less predictable than many of my previous experiences. There was no ‘where do you get your ideas from?’ Or ‘do you have a special pen to write with, or a ritual you have to do before starting in the morning?’ – the questions I’ve encountered most frequently as a regular literary festival junkie. Instead, the conversation turned on the value of knowledge and not knowing – a particularly resonant subject for commercial Singapore. The Art of Unknowing started with a definition of ‘poetry’ taken from the original Greek: constructing, making things. Therefore a poet is a maker, ‘one in the construction business,’ as Muldoon coined it. This is not to criticise the search for fact and reason, nor to dismiss it. Muldoon believes we need both, but at different times in the process of making, and to leave the knowing side (physics) out of the equation at first, so the chemistry can work in this state of questioning and not knowing. The capacity to engage with the unknowing is negative capability. 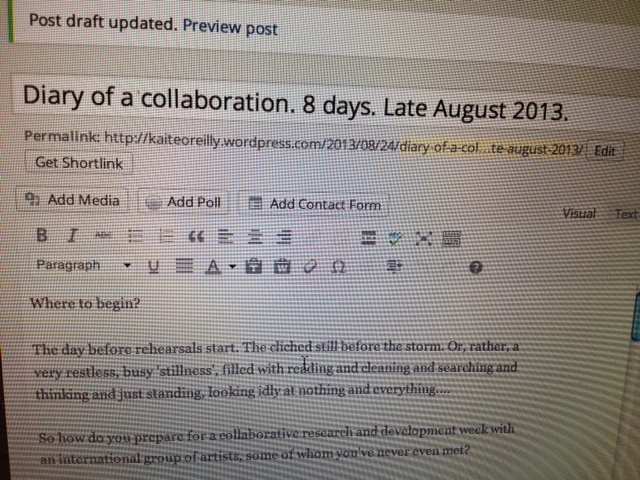 Diary of a collaboration. 8 days. Late August 2013. The day before rehearsals start. The cliched still before the storm. Or, rather, a very restless, busy ‘stillness’, filled with reading and cleaning and searching and thinking and just standing, looking idly at nothing and everything…. So how do you prepare for a collaborative research and development week with an international group of artists, some of whom you’ve never even met? We know our jumping off point – Genet’s The Maids. Our director has asked us to gather stimuli and propose specific entry points to themes we individually find in the script. One week is a a short time. One week is a very short time for any form of collaboration, never mind one crammed with ideas and different entry points and diverse perspectives and a large company of five performers, one sound artist, one cellist, one director, three observers and one dramaturg (me). And five languages. One week is a very short time to begin work with any real comprehension on new material generated by the group, never mind one coming together for the first time with artists from Wales, US, South Korea, Singapore and Ireland. One week is a very short time to gather recently made material into any kind of comprehensive structure and dramaturgy – never mind then sharing it with a discerning audience of artists. Which is what we are about to do. And I shall endeavour to document it this week, end of August 2013. Fasten your seat belts. It’s gonna be a bumpy (and I hope exhilarating) ride. THE COLLABORATION is between The Llanarth Group (Wales), Gaitkrash (Rep. of Ireland) and Theatre P’Yut (South Korea). The project will be performed by a five woman ensemble working multi-linguistically between English, Korean, and Mandarin (with possibly Irish Gaelic, British Sign Language, and German), accompanied by two on-stage musicians.